Two useful Type-C accessories that I discovered at CES 2018 for photographers on the go are the Kingston Nucleum ($79) and the LaCie's DJI Copilot ($349). The Kingston Nucleum connected to a new MacBook. Photo by Derrick Story. 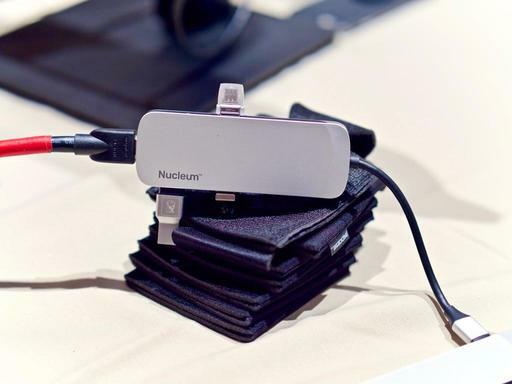 The Kingston Nucleum allows you to connect your favorite USB devices, plus HDMI, SD cards, and microSD cards, all in one slim, portable, stylish hub. Five ports, two card readers, and no external power required. Aside from the handsome design, I really like the quality of the cord and its two connecting ends, which are reinforced. This is a high performance accessory that should serve you well over the long haul. And it looks great beside your new laptop computer. Another USB-C device that may be of interest to photographers is LaCie's DJI Copilot. LaCie's DJI Copilot. Photo by Derrick Story. The big selling point here is that you don't need to bring your computer in the field to backup your camera's memory cards. The Copilot will take care of that by itself, and it will provide you with completion status on its integrated screen. So you know when it's safe to reformat the card. You can also view your files in the field if you have a table device with you. 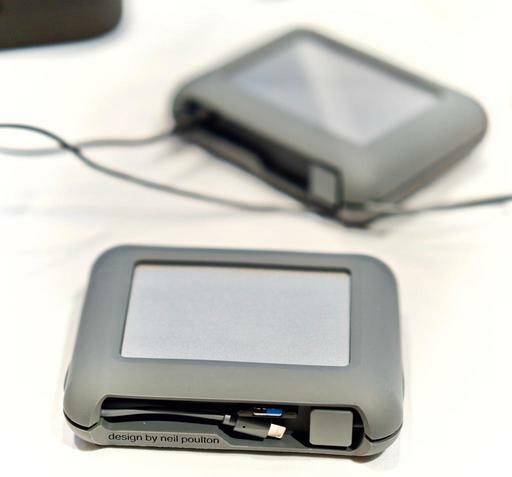 The Copilot connects to iPads and other portables as well as the computer when you return home. And with its ample 2 TB of internal storage, you should be covered, even on extended shoots. Additionally, I saw many other USB-C devices at CES, such as the Sandisk Extreme Portable SSD and the Western Digital 1 TB stick flash drive. So, by combining the Nucleum for your existing peripherals and adding a new accessory or two, your new state-of-the-art computer becomes just a bit more friendly.